After three (three?!) 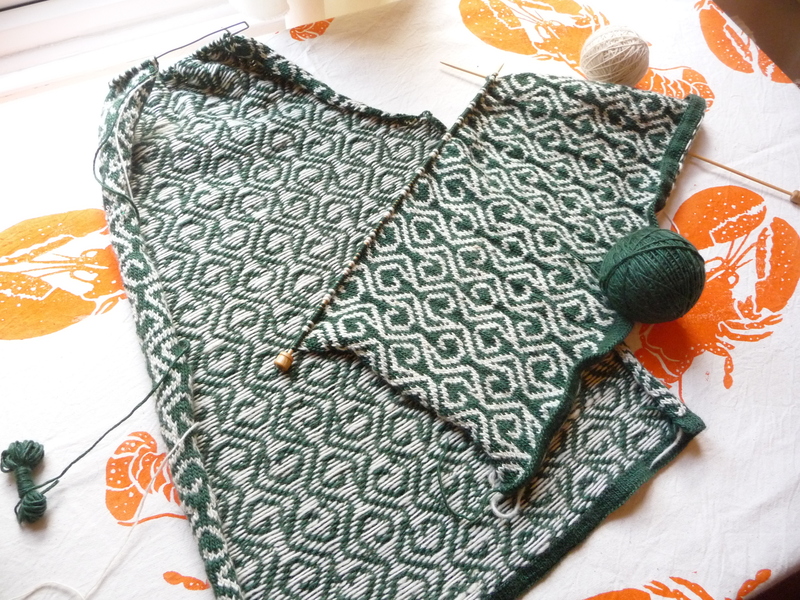 false starts, the swiggle sweater is well underway! 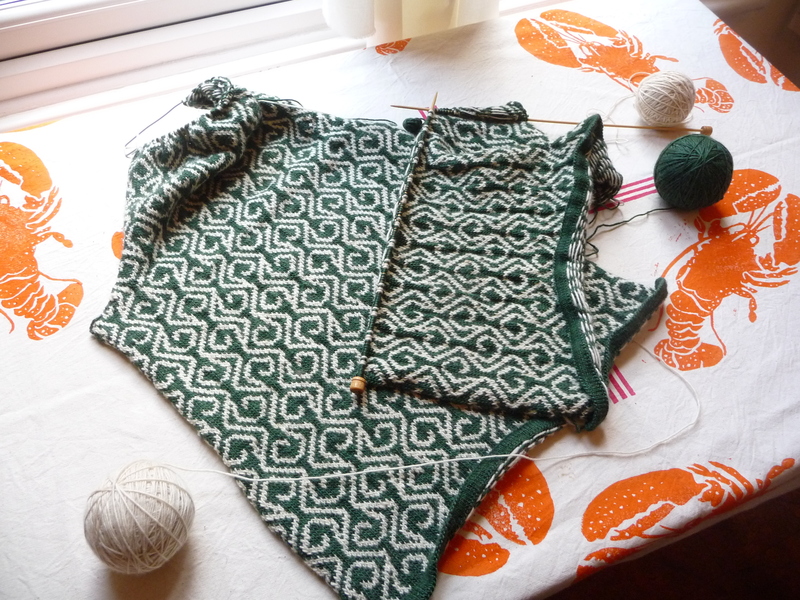 Here’s the finished back, and my start on the front. 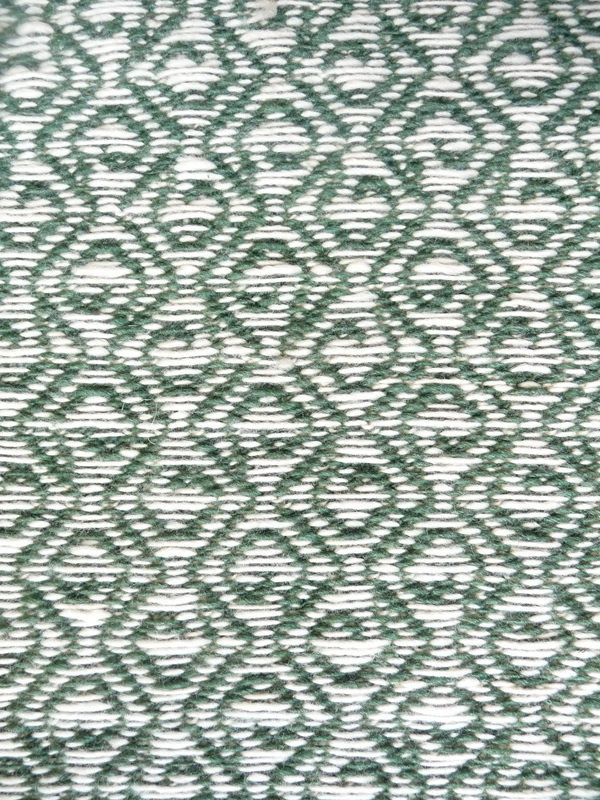 Sometimes I love the back of a piece of knitting as much as the front, and it’s definitely true with this pattern. I would love to find a way of sewing it together so that I can wear it either way, but of course the stranded side would snag on every door handle and hook in my path. 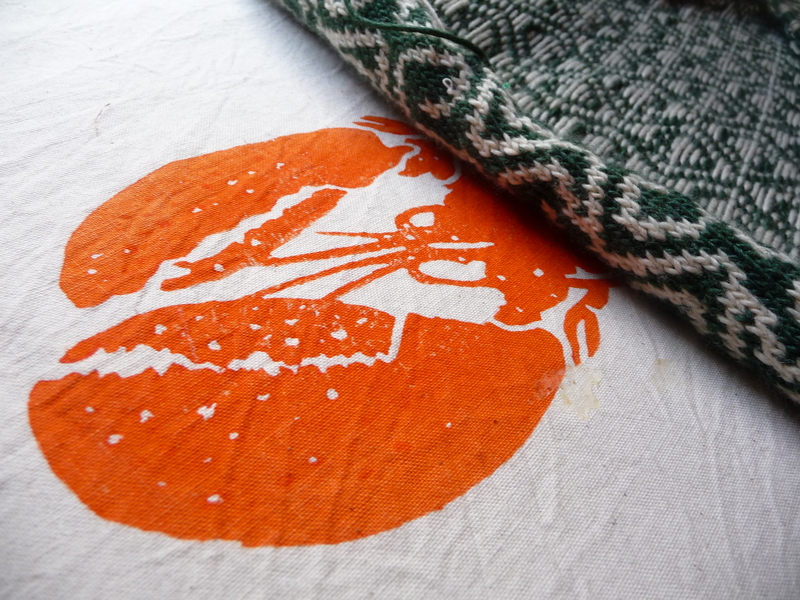 The beautiful lobster print tablecloth was a Christmas present from my ridiculously generous and talented sister. Needless to say, it’s already reached family heirloom status.